It’s not that the Montreal Canadiens can’t score. It’s that they can’t score after getting a two-goal lead. Well, okay… it’s maybe a little bit from column ‘A’ and a little bit from column ‘B.’ Either way, it’s not good. Against the Ottawa Senators on Thursday, Max Pacioretty notched his 32nd and 33rd goals of the season to spot the Habs a two-goal lead entering the second period, before they ultimately lost 5-2. It had been a welcome development, and not just because one was a shorthanded goal and the pair put him on pace for 40 goals (roughly). No, it was mainly because prior to the game, the Habs had scored just six goals in their previous five, getting shut out twice. Montreal now has the 21st-ranked offense in the league (2.54 goals per game). What’s more depressing is not a single playoff-bound team is below them in the standings. What’s most depressing? The Toronto Maple Leafs are ranked just ahead of them… despite getting just 16 goals in 13 games this past January, the lowest-scoring month in the history of that franchise. In any case, Pacioretty’s goals were like a breath of fresh air, almost like a weight had been lifted off the shoulders of an entire city… and onto those of everyone else on the roster, seeing as he’s essentially the only one who’s been scoring consistently, with no one else even having 20, but I digress. It would be funny if it weren’t so tragic… and it wouldn’t be so tragic if it had been the first time this had happened this year. Seriously, you’d think they would have learned their lesson by now, even if it is admittedly a fairly recent phenomenon. Prior to February, it actually hadn’t happened at all. Then, all of a sudden, Super Bowl Sunday hits, the Arizona Coyotes come to town to play the Habs, then on a five-game winning streak, and disaster strikes. Despite Alex Galchenyuk notching two early in the first against a relative unknown in Louis Domingue, the Habs lost 3-2. Fast forward 11 days, and the visiting Edmonton Oilers spot the Habs another two-goal lead and then come back to take it in overtime 4-3. Not a week later, the Florida Panthers, again at the Bell Centre, win 3-2 in a shootout after falling behind on two Brendan Gallagher goals. That’s four times in the last month and change, each at home no less, that the Habs have for all intents and purposes choked. Against non-playoff teams. A Playoff Team? Or Just One that Will Make the Playoffs? Between the coughed-up two-goals leads, a general inability to score under every other possible circumstance, and getting outshot consistently, it’s very easy to argue that the Canadiens are simply not a playoff-caliber team. And then you look at their Atlantic Division-leading 42-19-7 record, rub your eyes a few times, see the record again, call your eye doctor for an emergency appointment… before finally realizing it’s not your eyes that are the problem. It’s the Canadiens. Call it a coincidence. Call it the Canadiens getting away from their game in front of their home crowd. Call it irrelevant, with the Habs destined for home-ice advantage in the first round, barring a historic collapse in the final 14 games of the season. Truth be told, it’s actually none of the above. You can’t even call it a slump, with the losses being as spaced out as they are. What it is, is a very serious problem for a team whose game-winning strategy is to rely on goaltender Carey Price to hold the fort and onto leads, almost single-handedly. Calling it anything else would be doing a disservice to the franchise itself, letting them off the hook when these Habs, again looking at their record, are obviously capable of so much better. 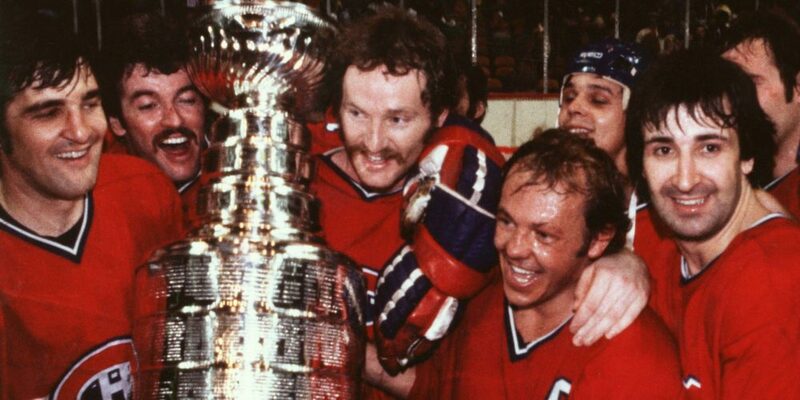 Now, barring a cultural shift of epic proportions, the Habs are not going to enjoy long-term success. Fans are already starting to see the chinks in the armor of Price—the biggest reason the Habs are where they are in the standings—with him having lost four of his last five. This is a Hart Memorial Trophy candidate, who, at one time, could have realistically challenged Martin Brodeur for the record for most wins in a single season (48). Now, at 37 wins with 14 games left, the way things have been going recently, Price will be lucky to beat out Jacques Plante and Ken Dryden for the team record of 42. Price and company can still right the ship, but the first step forward would be admitting there’s something wrong in the first place. The fact that these blown two-goal leads only date back a month or so is proof that the problem is fixable in theory. They say the two-goal lead is the worst in hockey. With a one-goal lead, you’re not as relaxed and still very careful. With a three-goal lead, it’s almost as if you’ve beaten the opposition into submission (unless you’re the 2013 Leafs… and in the third period). However, with two goals? You’re prone to not realizing you’re just one shot away from allowing the other guys right back into the game, with all the momentum shifting to them in the process. It’s about time for the Canadiens to start playing, regardless of the actual score, like every game is a one-goal game. Because that’s what hockey is, a one-goal game, with that one goal at the end of the tunnel being the Stanley Cup. The only way to even have a shot at getting that far is to play a full sixty minutes… every night… instead of total during games in which you find themselves lucky enough to have scored two goals first. 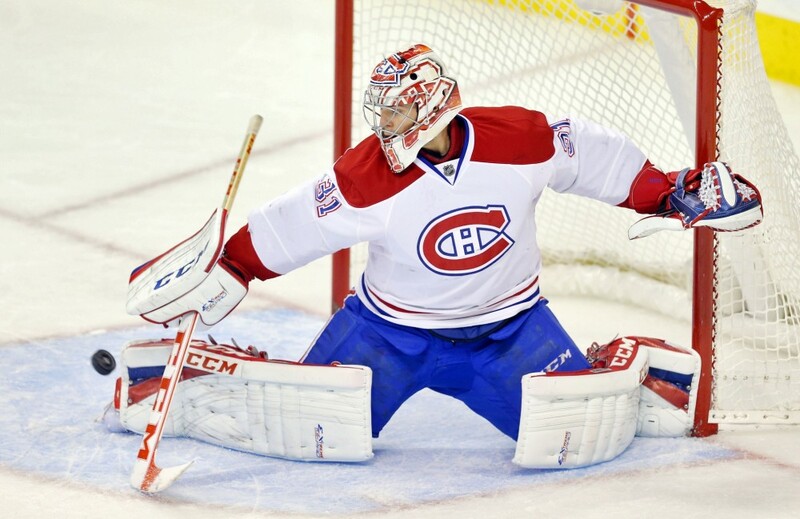 For the better part of this season, Habs fans have seen “lucky.” It’s time for a change.